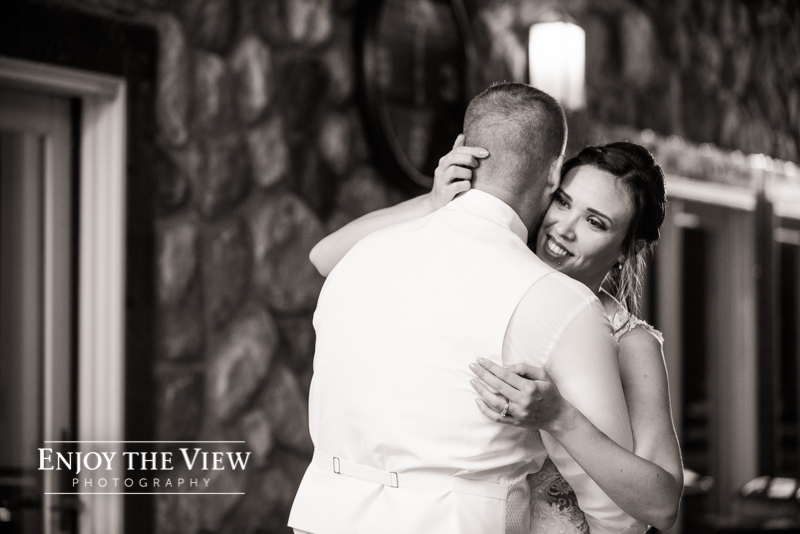 Sara & Anthony are a super sweet couple that are simply head over heels for each other. 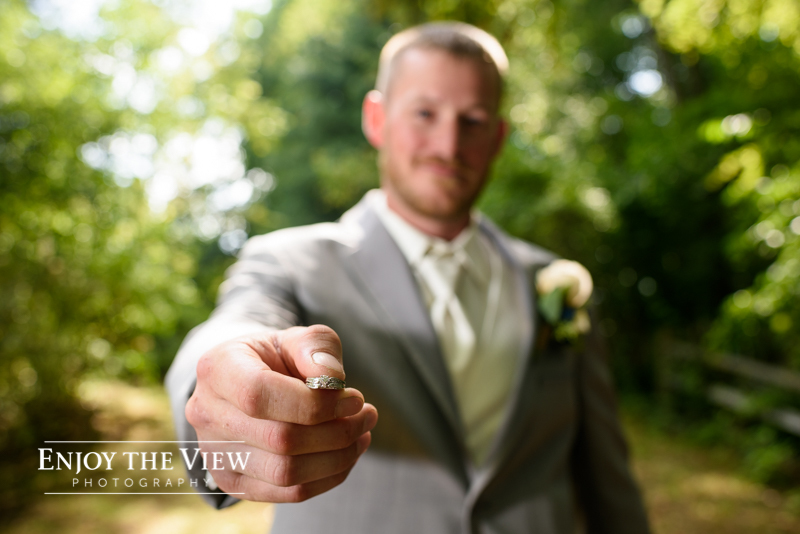 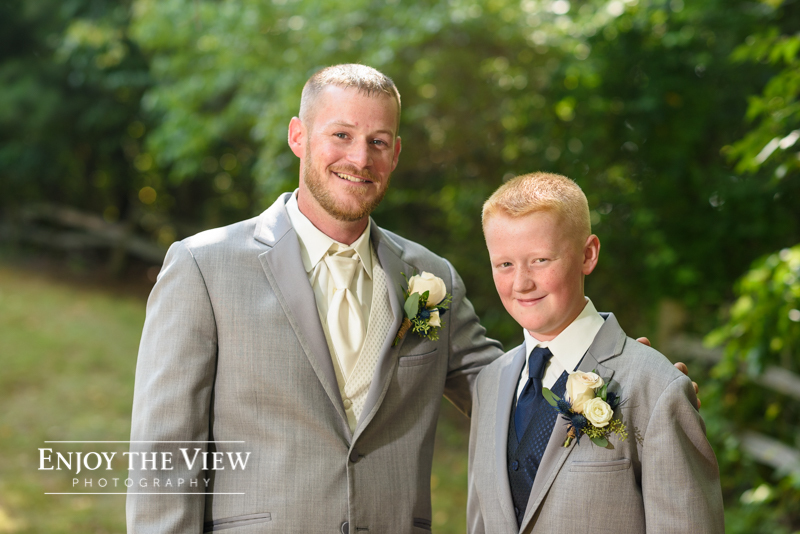 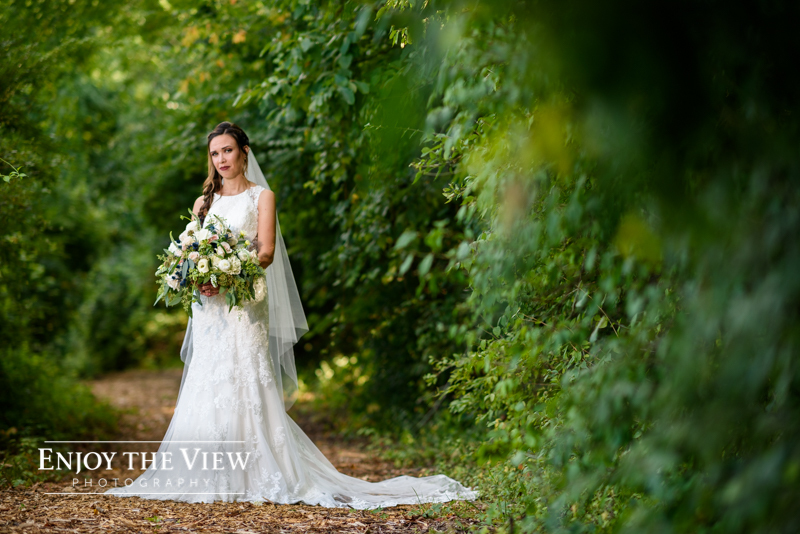 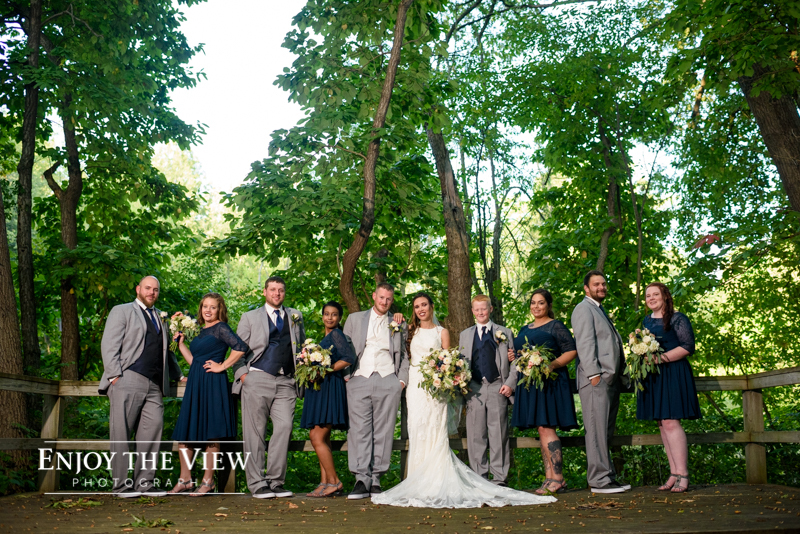 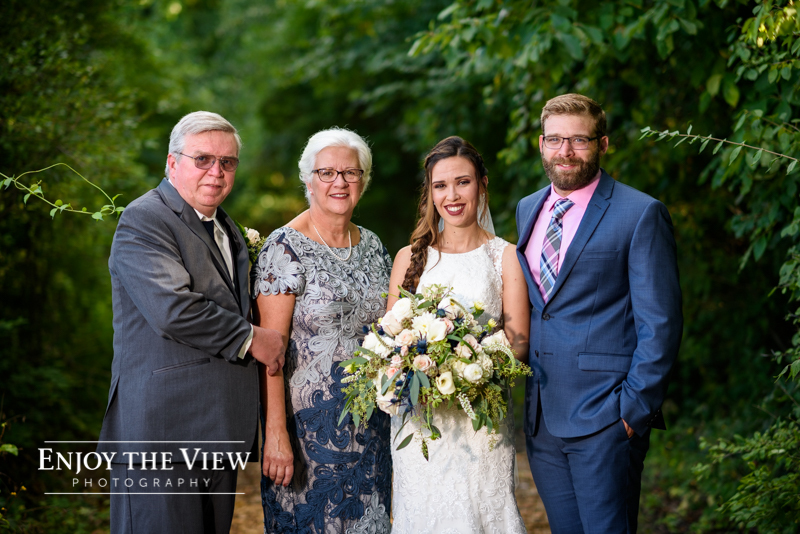 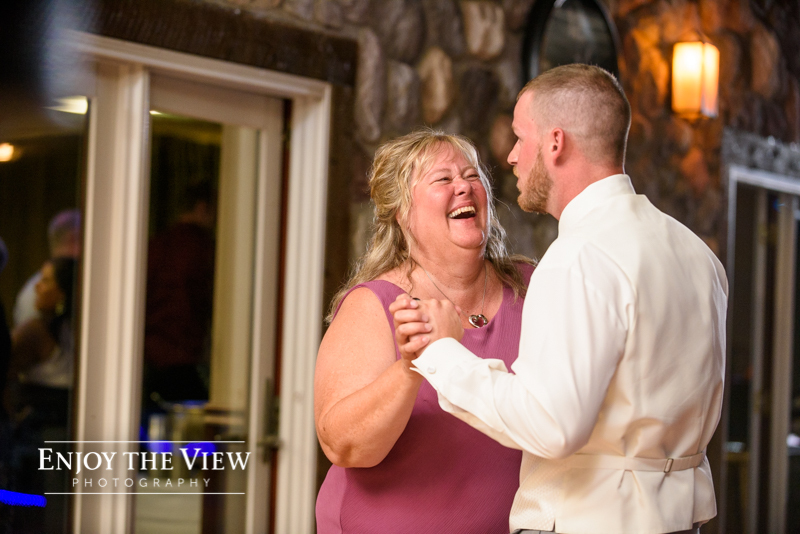 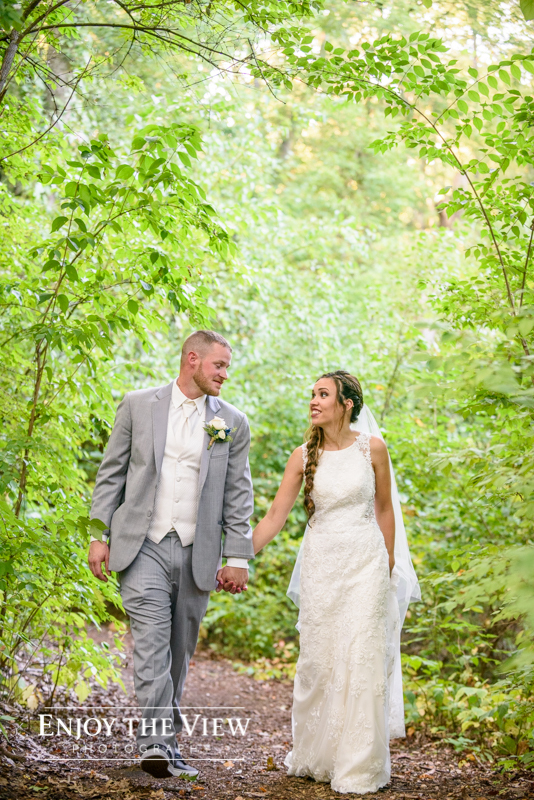 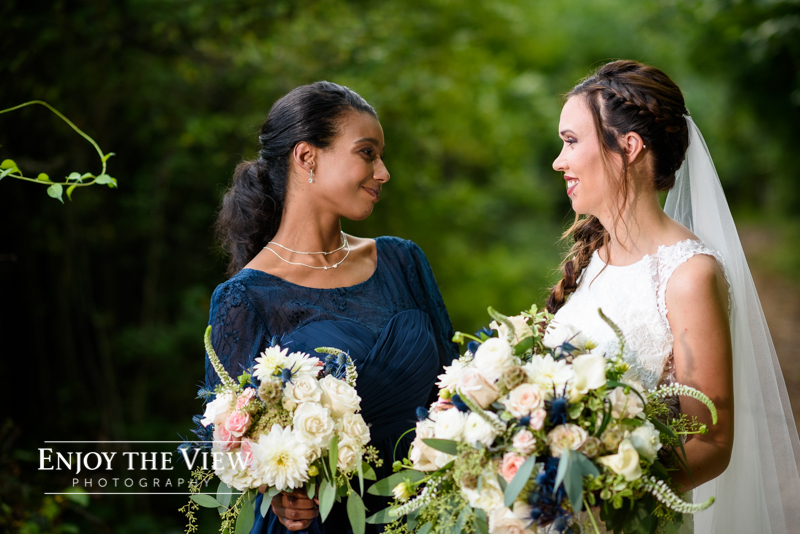 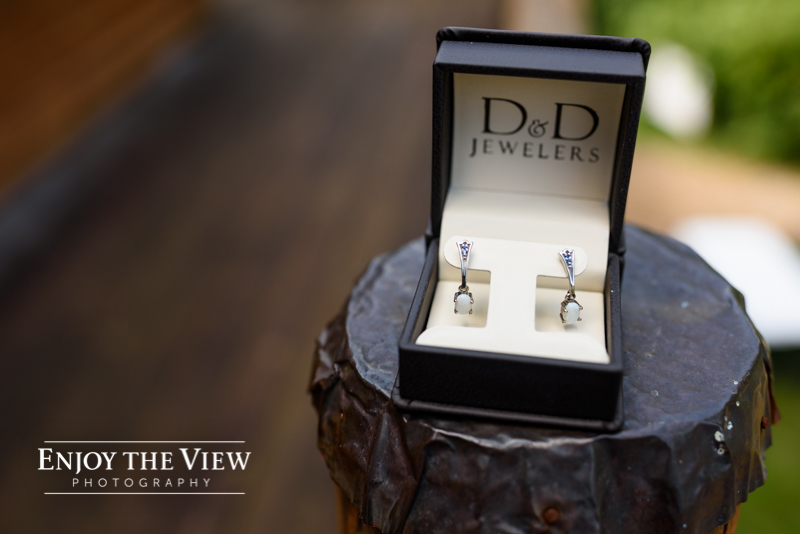 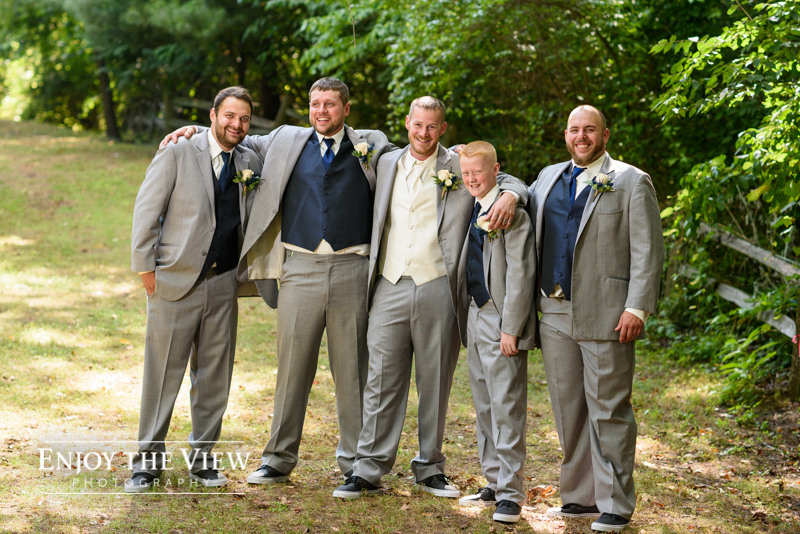 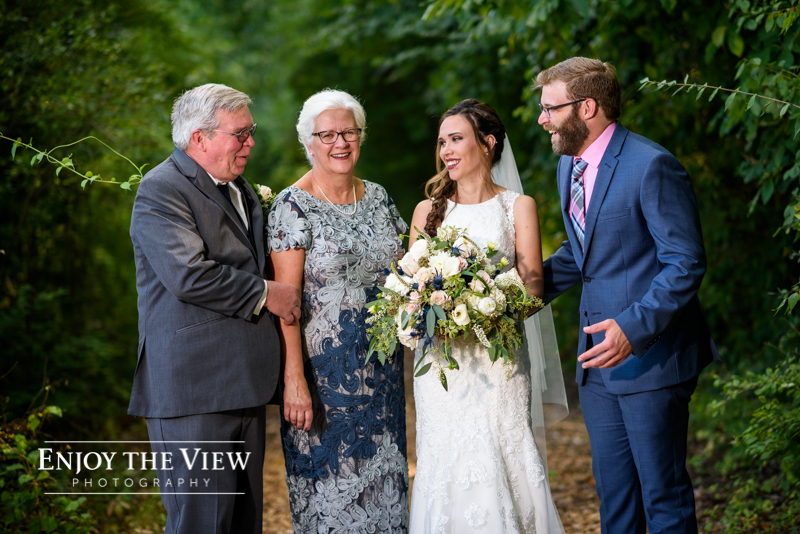 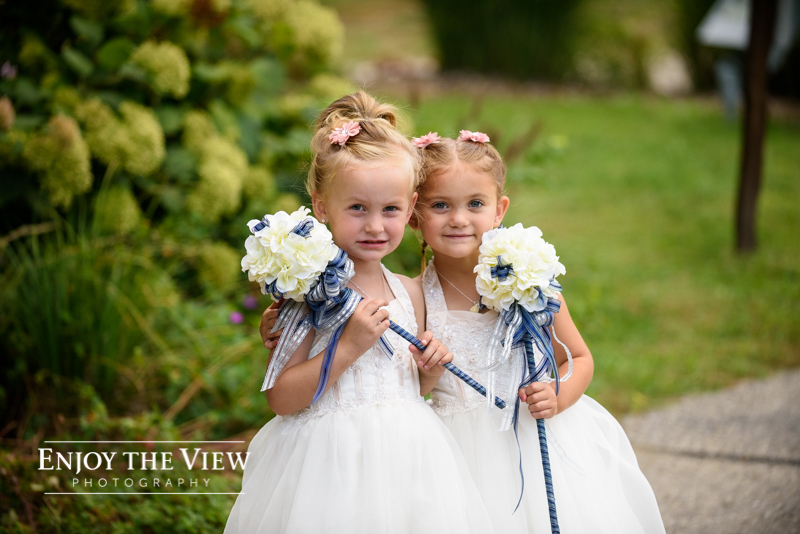 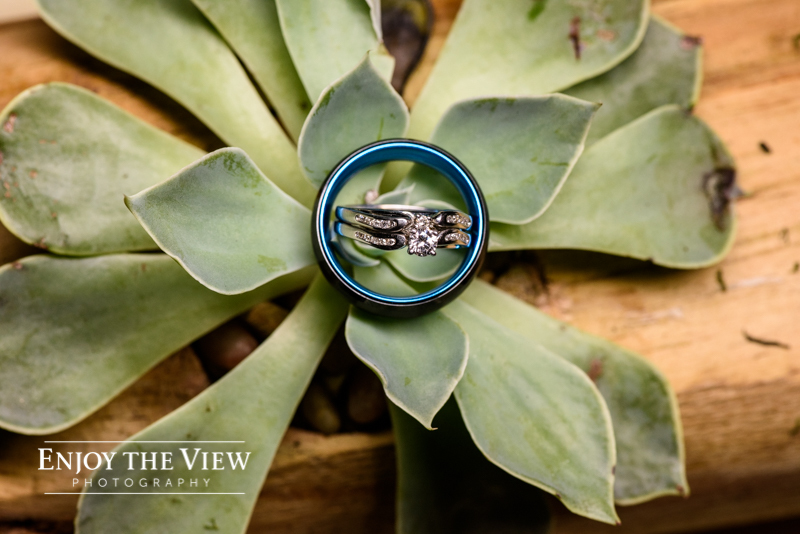 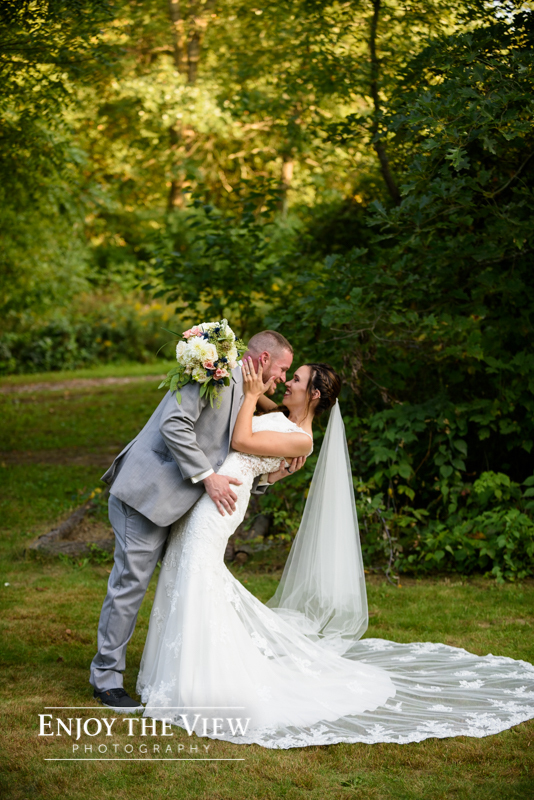 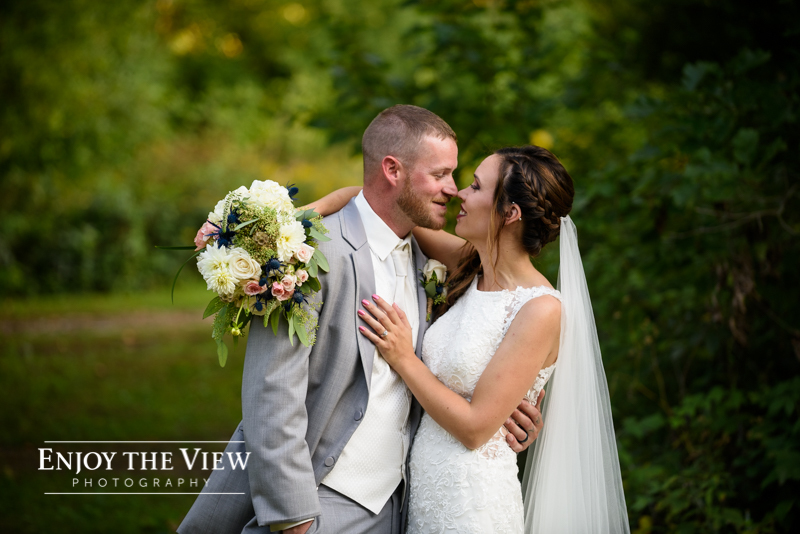 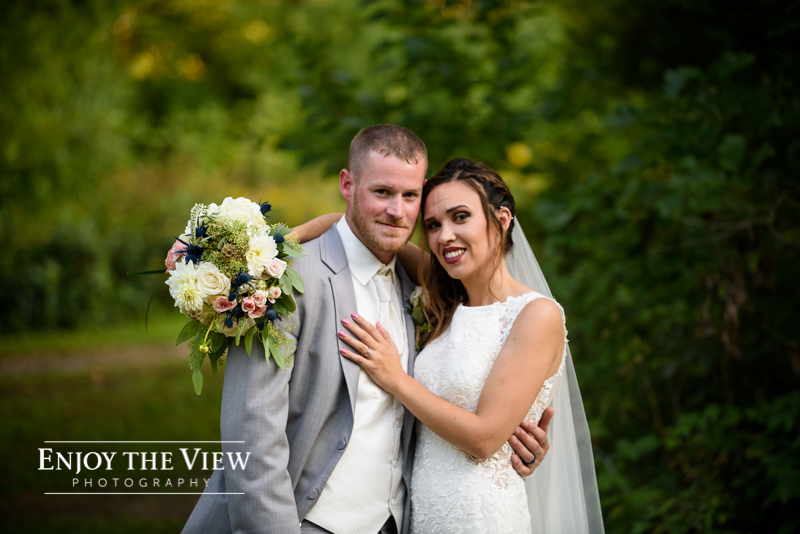 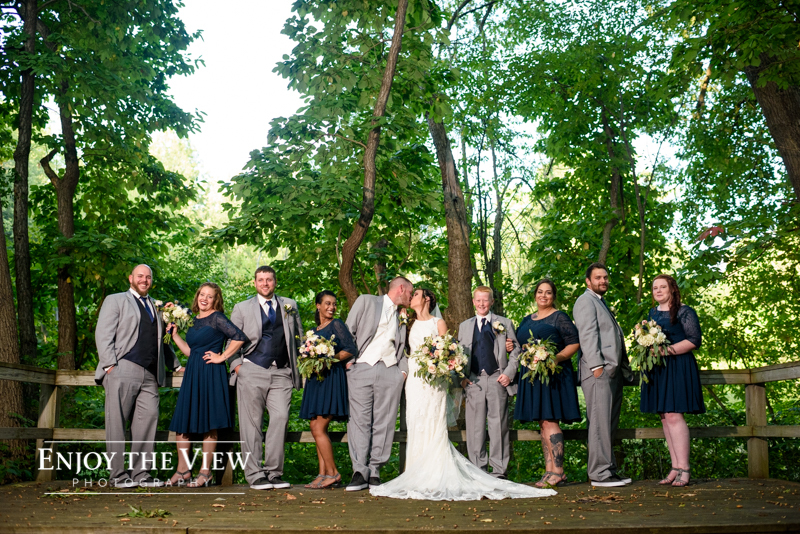 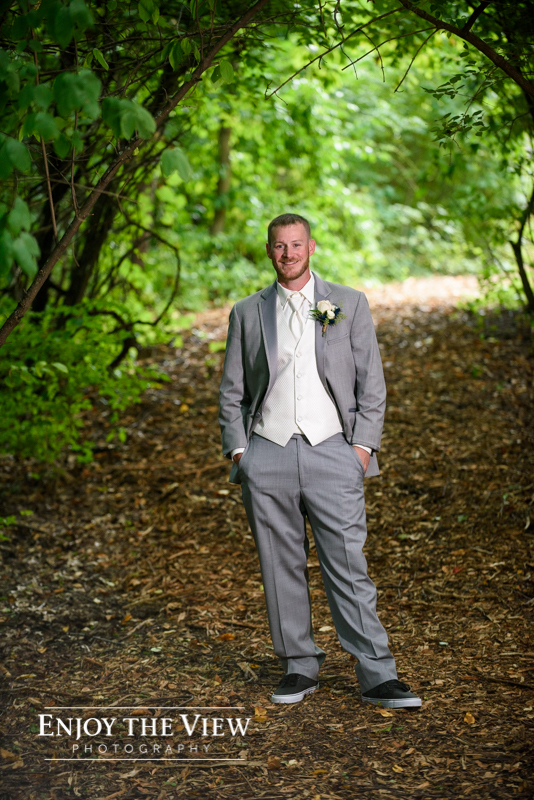 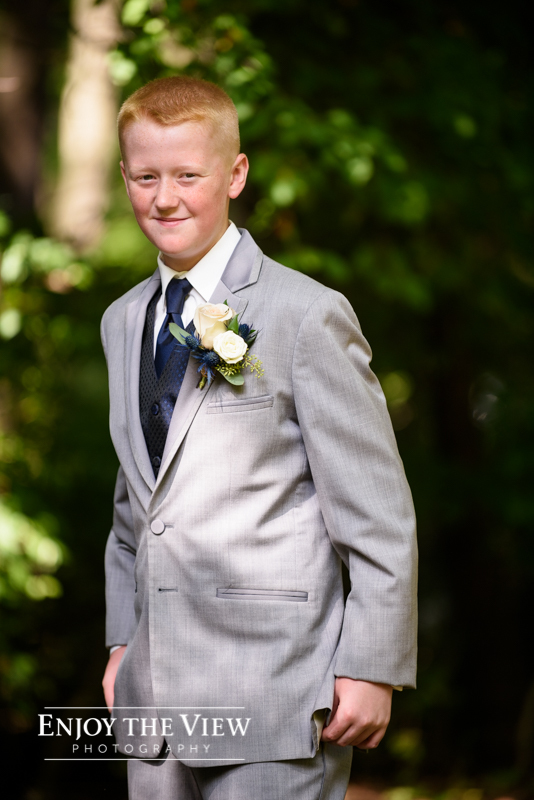 They had a beautiful wedding day, all held at Michigan Wildlife Conservancy in Bath, Michigan. 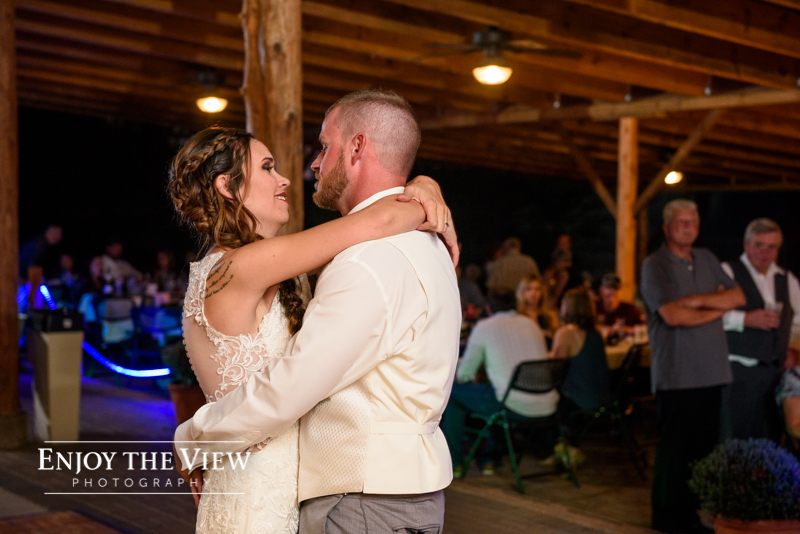 This was our first time at this venue and it did not disappoint. 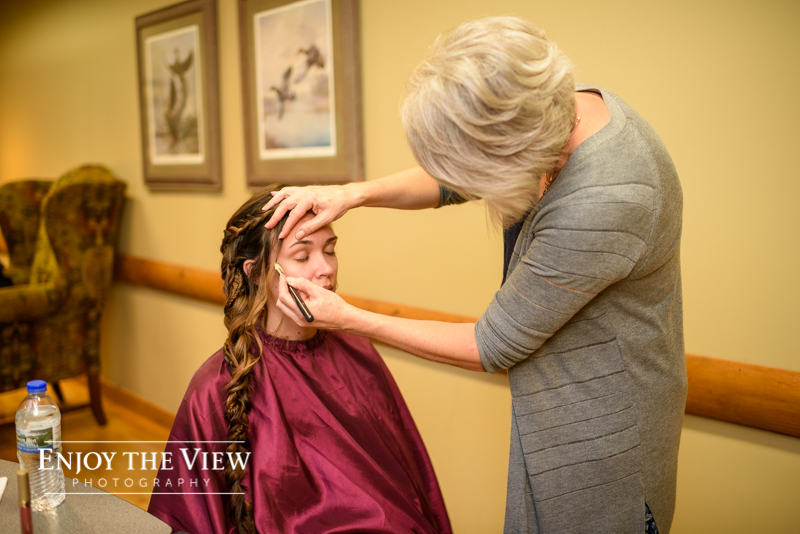 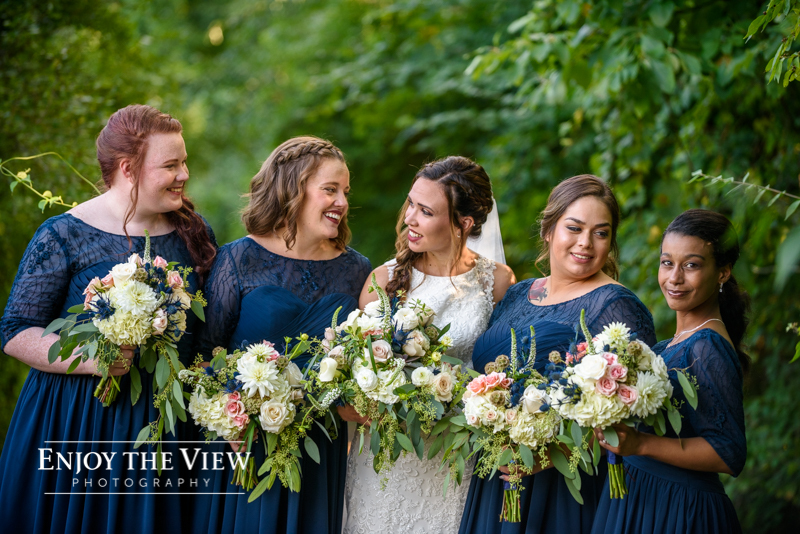 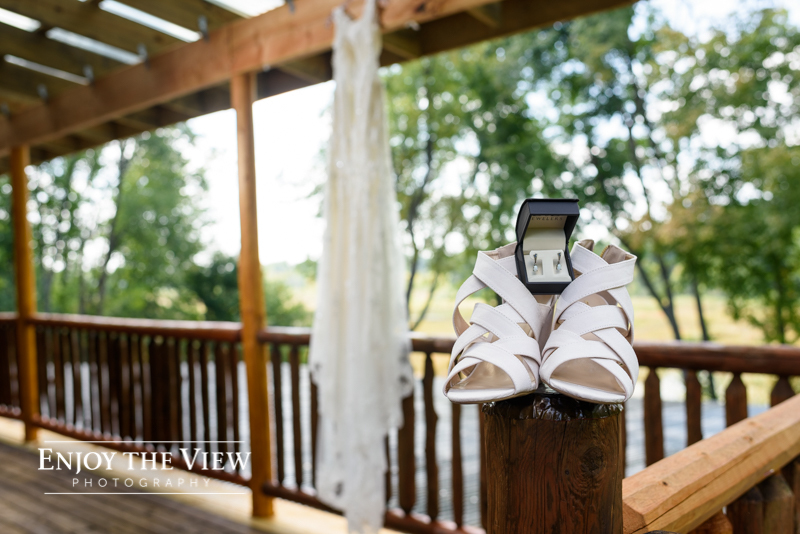 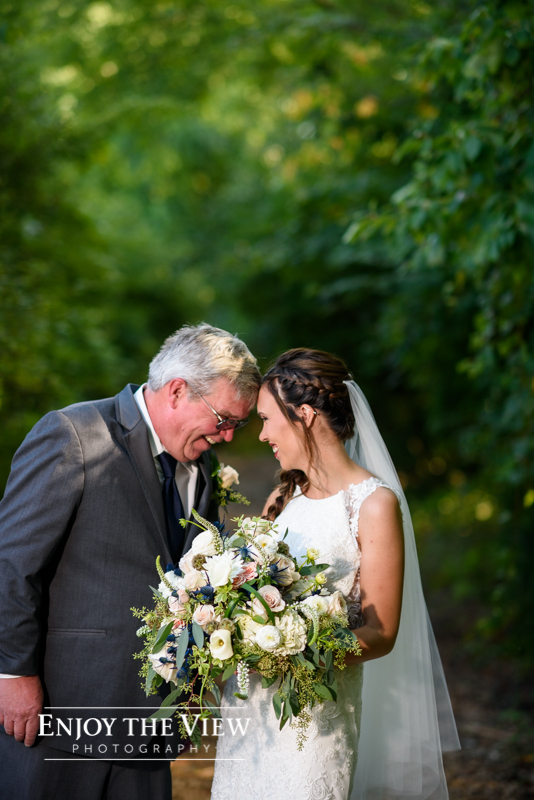 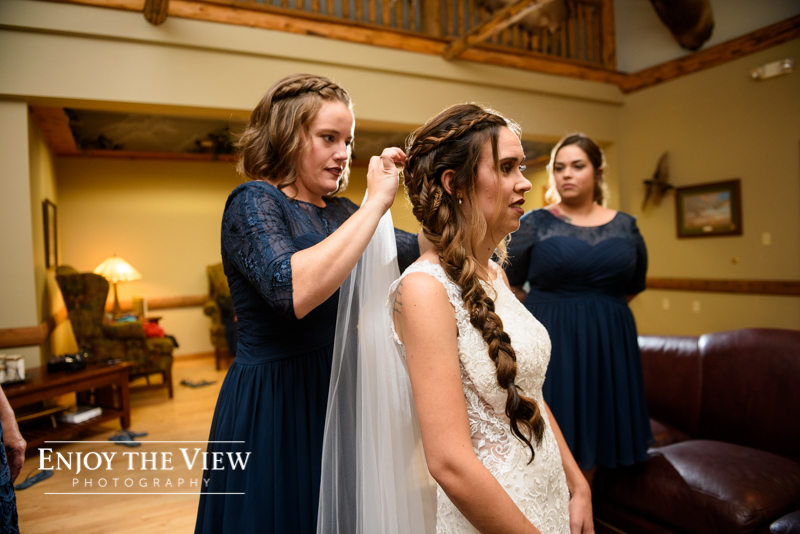 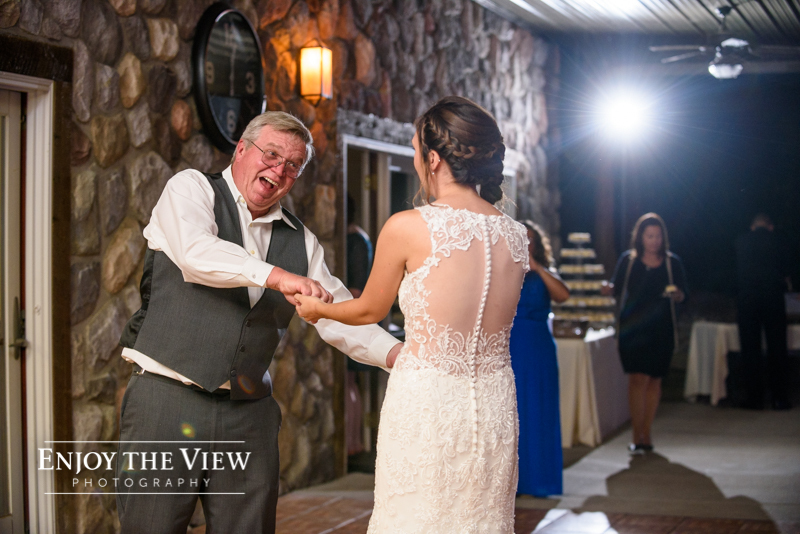 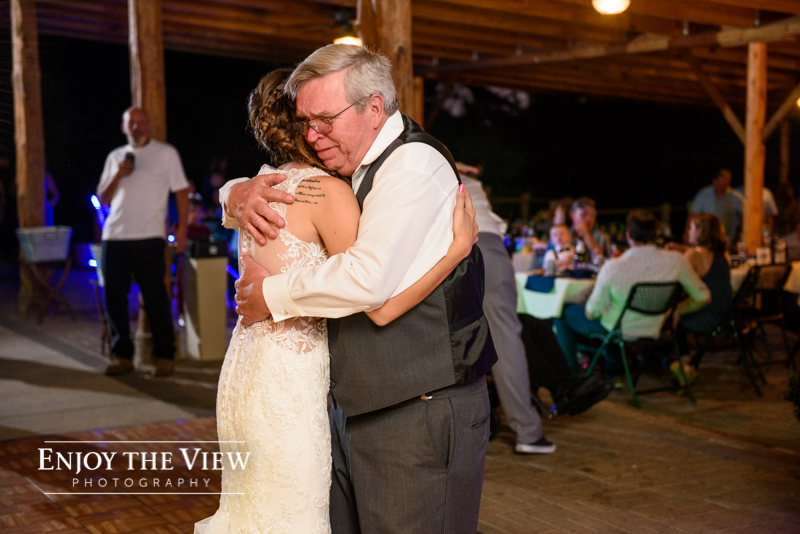 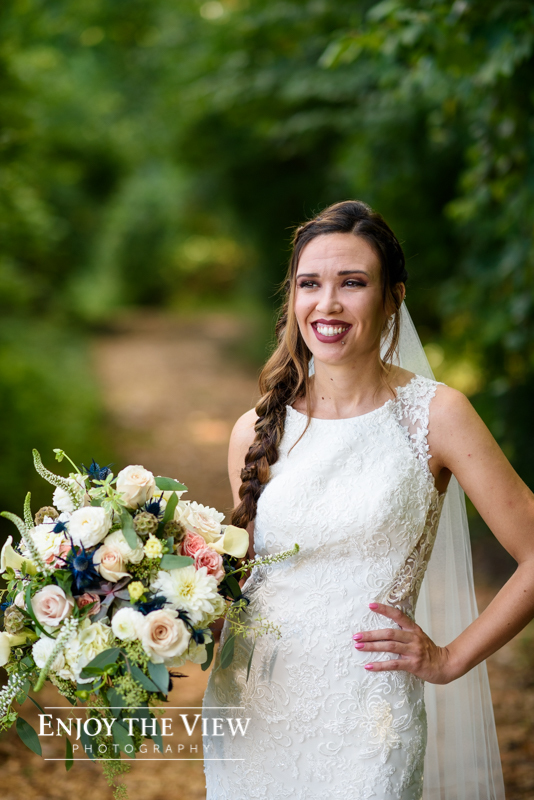 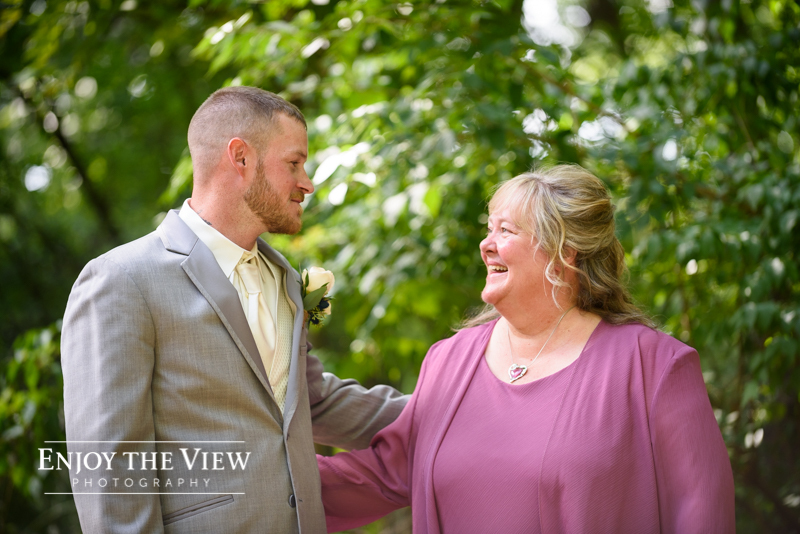 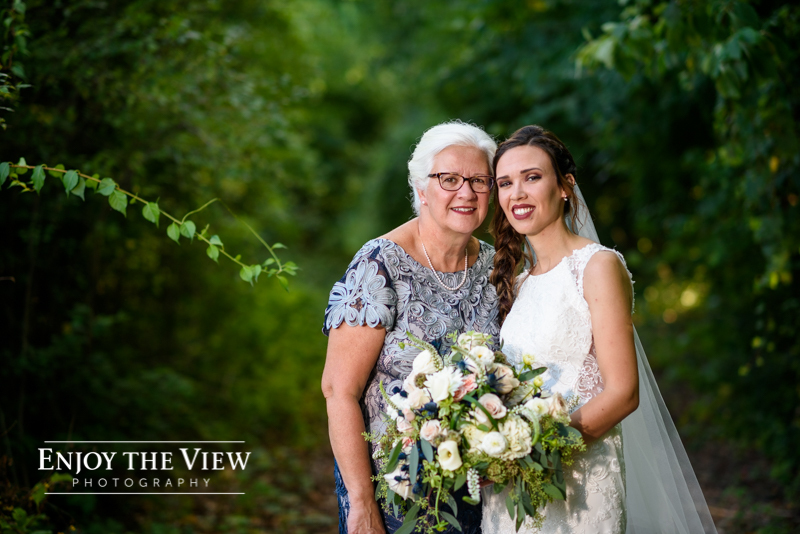 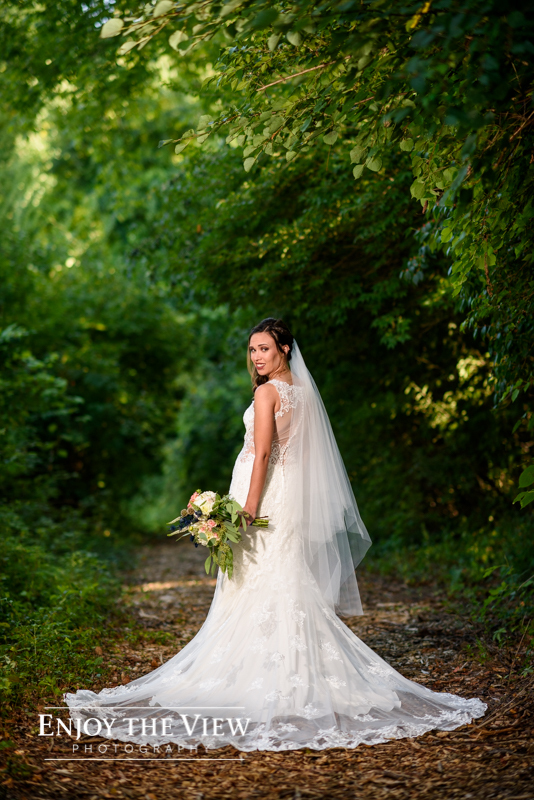 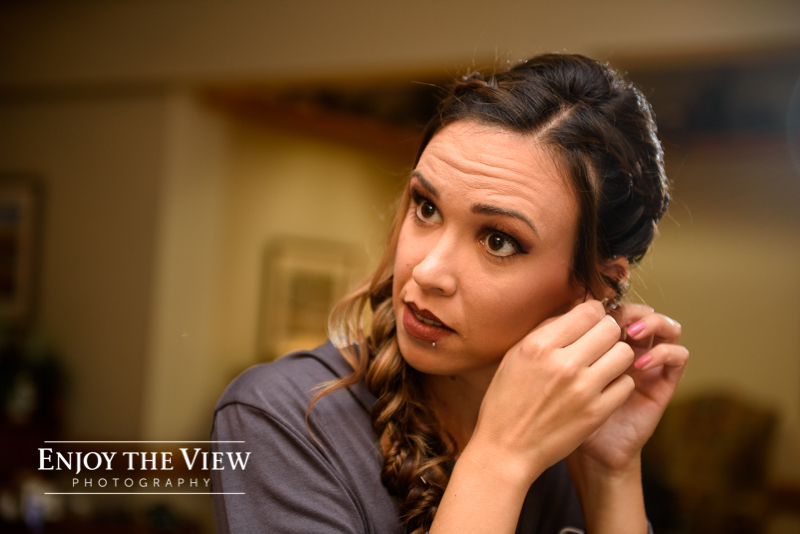 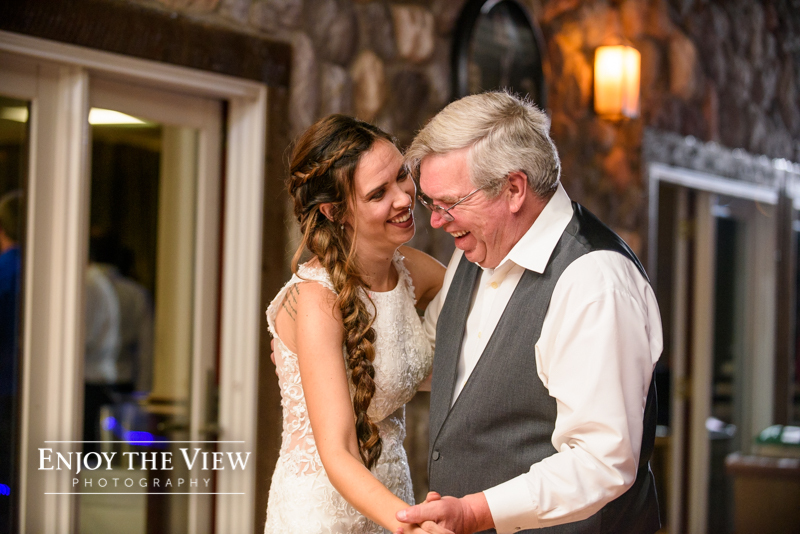 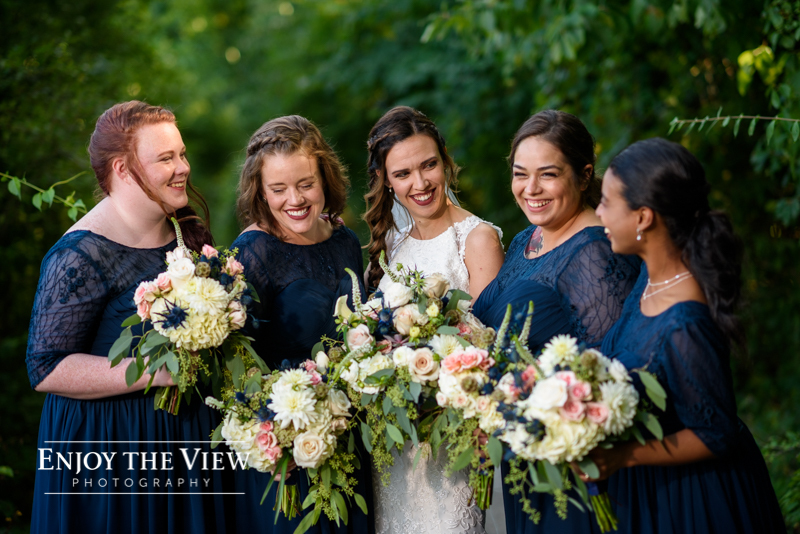 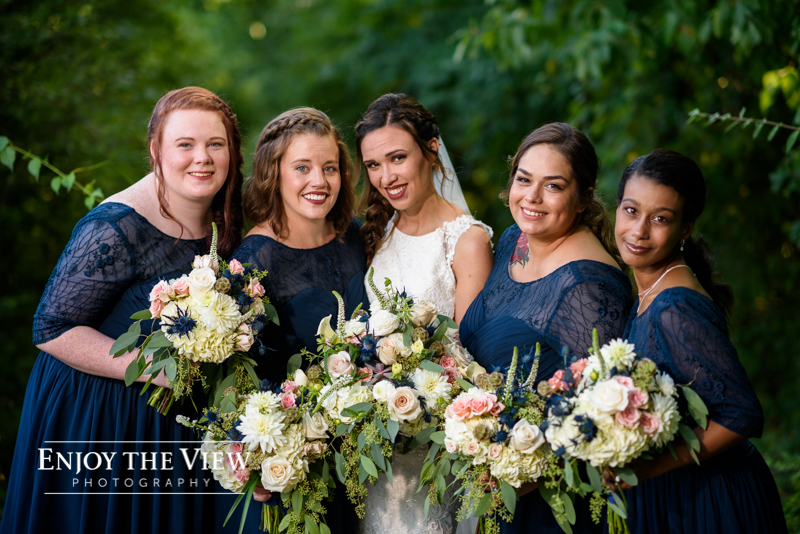 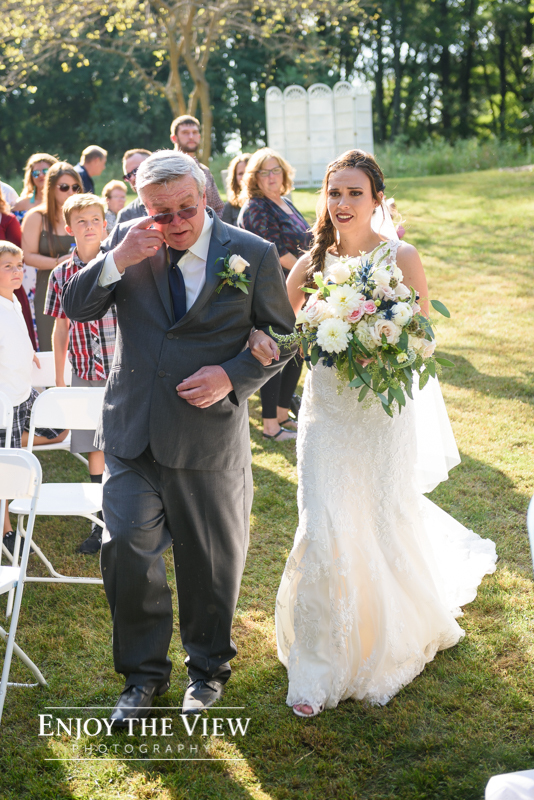 They have a spacious room for the bride and her girls to get ready in, a beautiful wrap-around deck overlooking a pond and the reception area, and a comfortable, rustic vibe throughout. 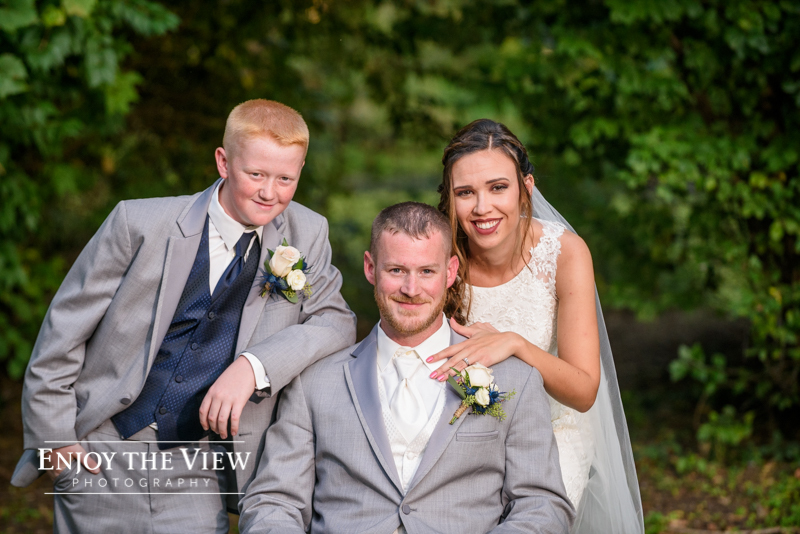 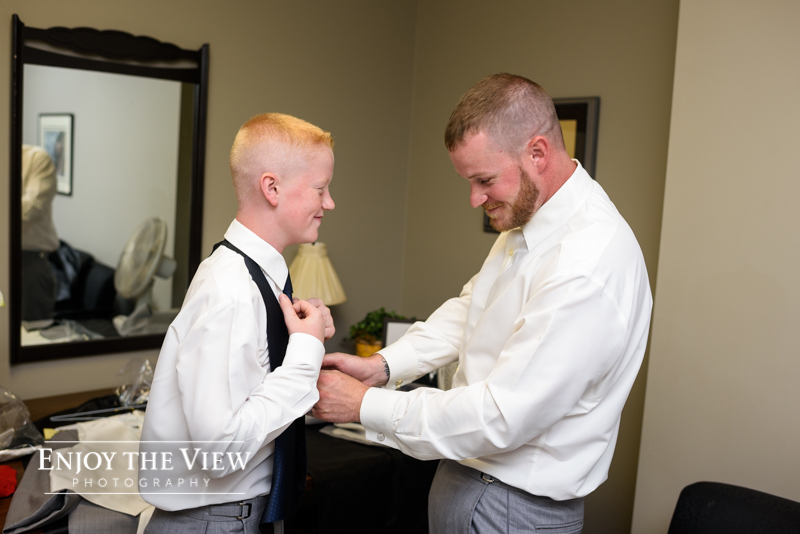 Sara & Anthony had a very personal ceremony performed by Sara’s brother and witnessed by their closest friends and Anthony’s son, Corbyn. 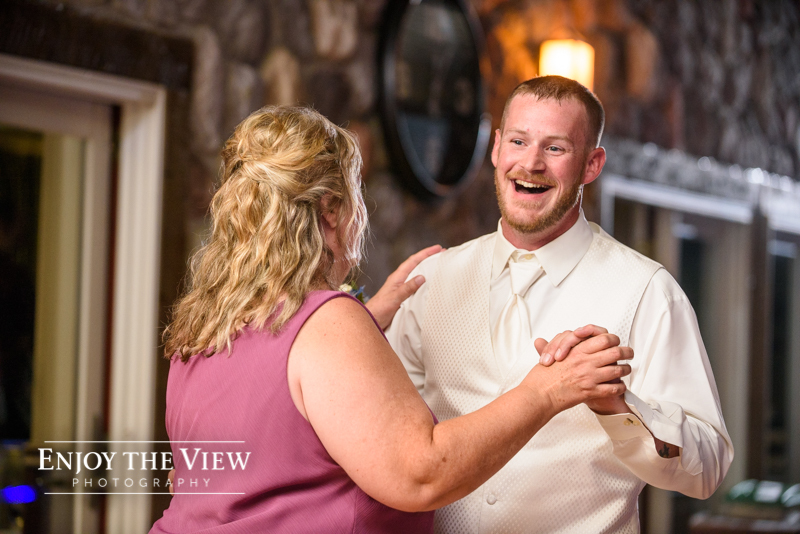 I have to say I was a huge fan of the songs they chose throughout their day, including the ceremony entrance songs and the couple’s first dance (apparently we have similar tastes in music!). 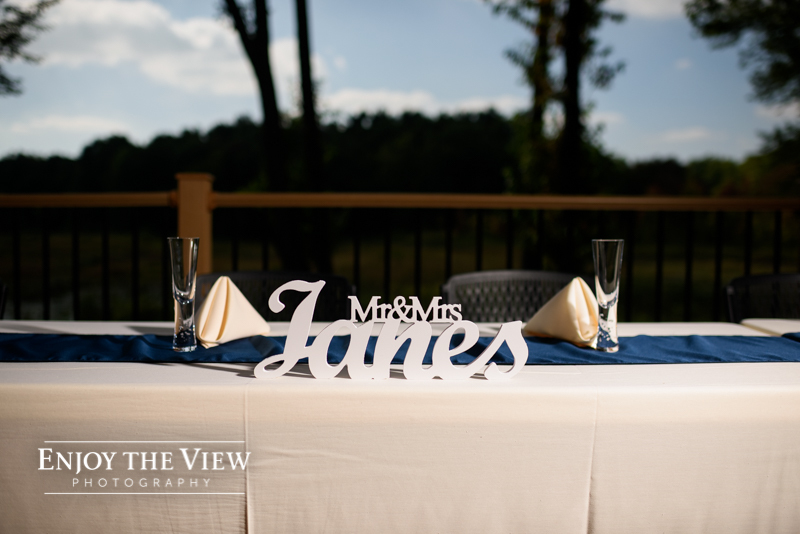 These personal touches always make such a big difference. 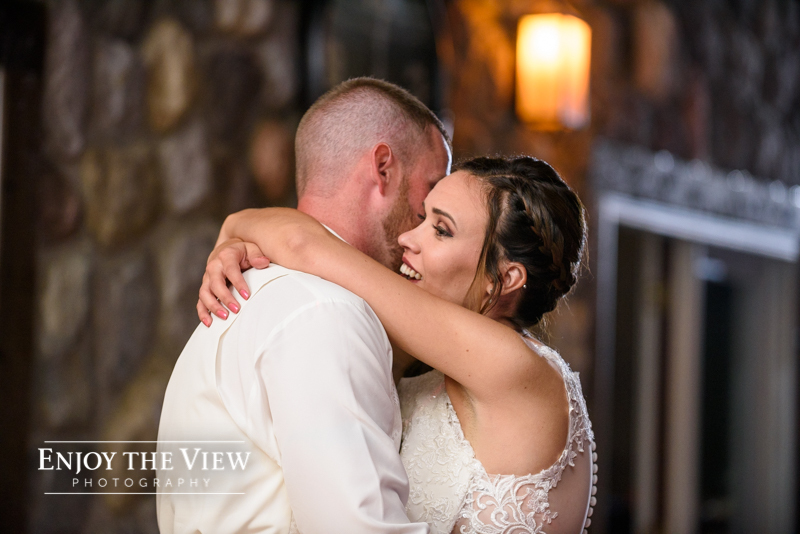 Following their ceremony, the celebration continued in the reception area. 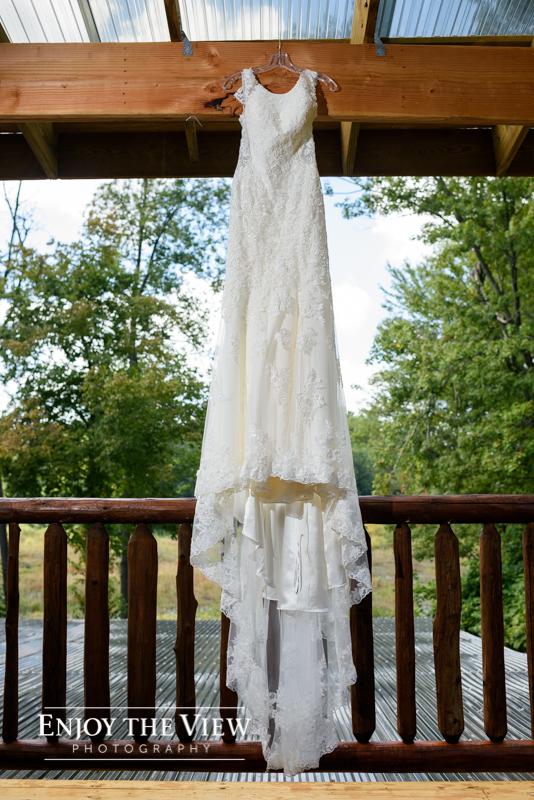 It is a really unique set up – a covered porch like feel. 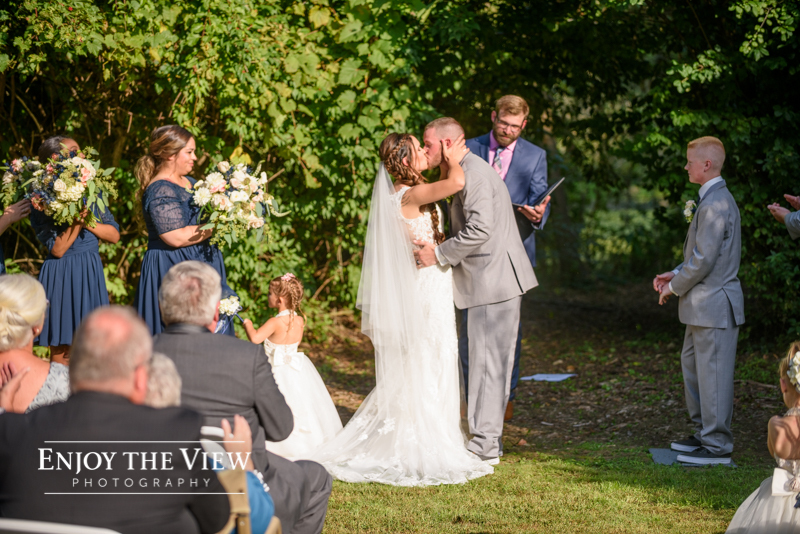 The sides are all open to the pond and nature surrounding it but it is covered by a translucent roof, protecting the party from rain. 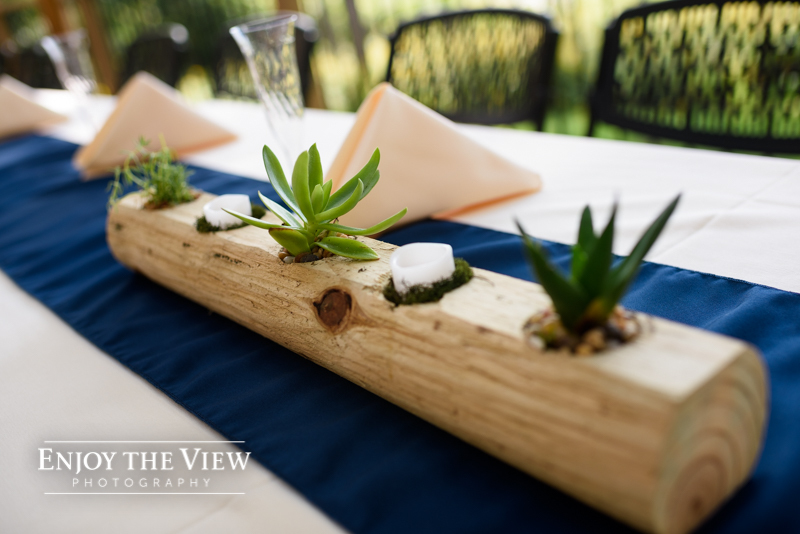 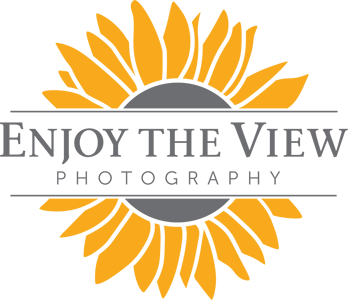 Super great idea!